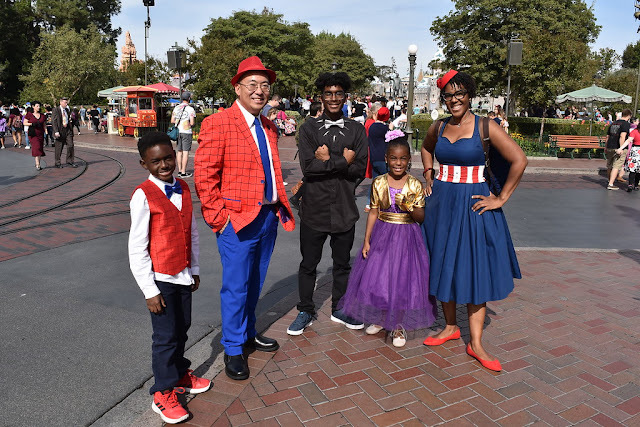 As many of you know, Dapper Day is one of my favorite events at The Disneyland Resort. It happens twice a year, one in Spring and the other in Fall. 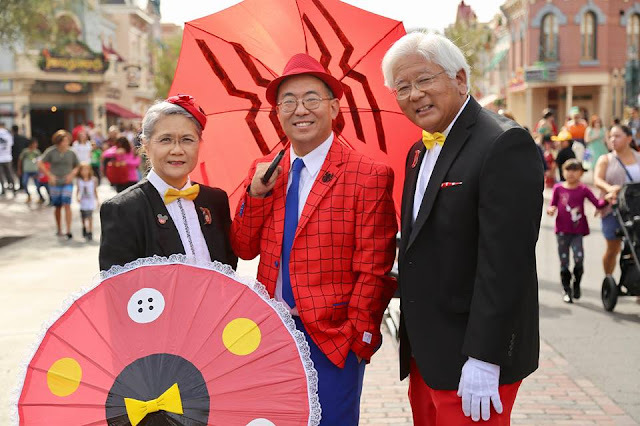 Over the years Dapper Day has not only welcomed those that dress Dapper but people who have been combining Disney Bounding, which one wears colors and accessories to emulate Disney characters without perfectly recreating their costumes which would be considered cosplay, with Dapper and creating what is called Dapper Bounding. 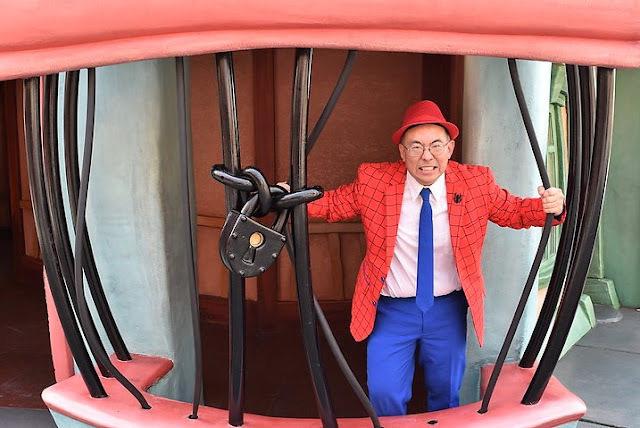 I am a huge fan of Dapper Bounding and always thinking of what character in the Disney Universe to create in a Dapper Bounding style. 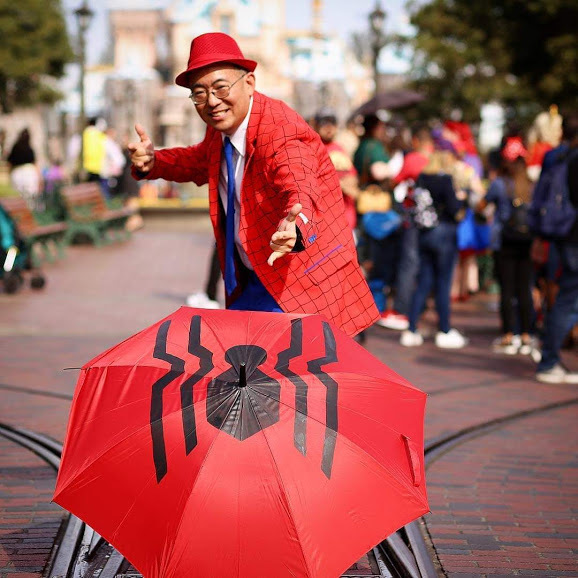 So, let's follow the adventures of Dapper Spider-Man in this amazing suit by OppoSuits! 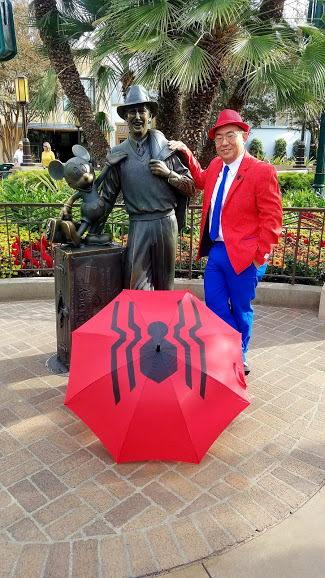 The fedora came from Amazon and the umbrella was hand painted by my friend Samantha! 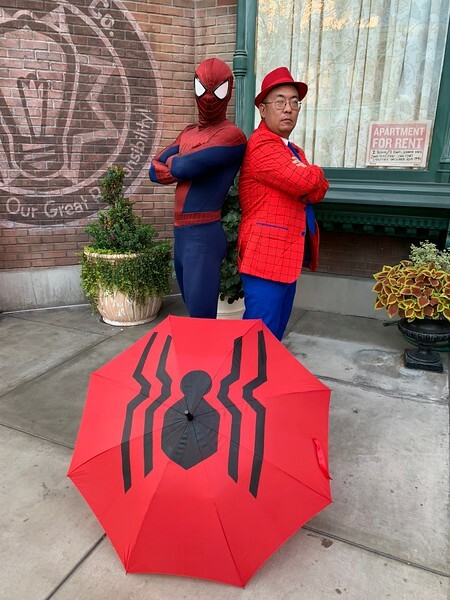 Many of you are already familiar with the origins of Spider-Man. Peter Parker was bit by a radiaoactive spider and soon Peter began to notice he possessed new powers. 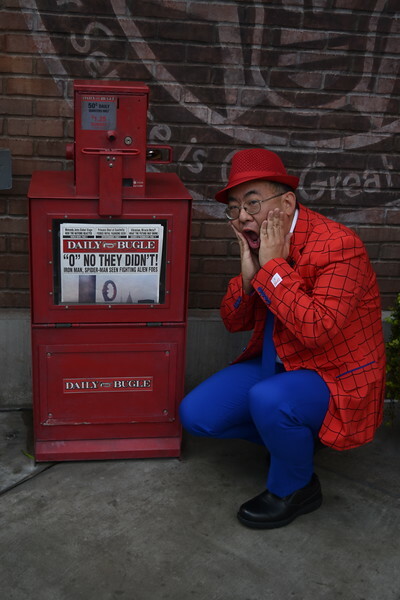 Dapper Spider-Man on the other hand was given great power the moment he donned the OppoSuits Spider-Man Suit! But Dapper Spider-Man also knew that with great power came great responsibility. 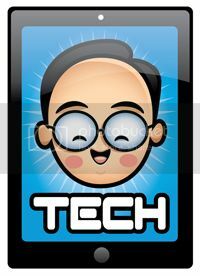 His hero Walt Disney knew this and created a magical world for people from around the world to enjoy. 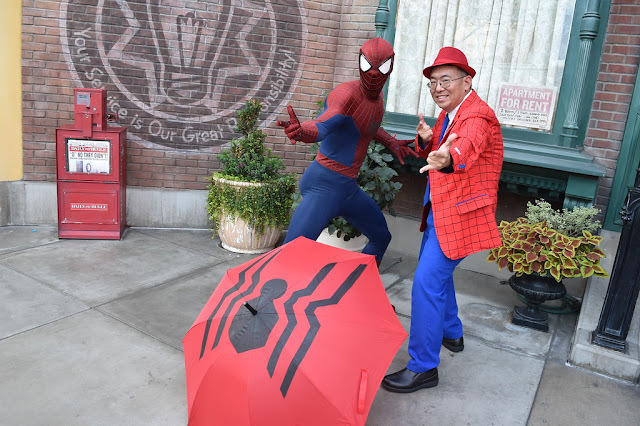 Tony Stark then recruited Dapper Spider-Man to provide him with greater opportunities to his powers for good! Tony Stark then introduced Dapper Spider-Man to Captain America! 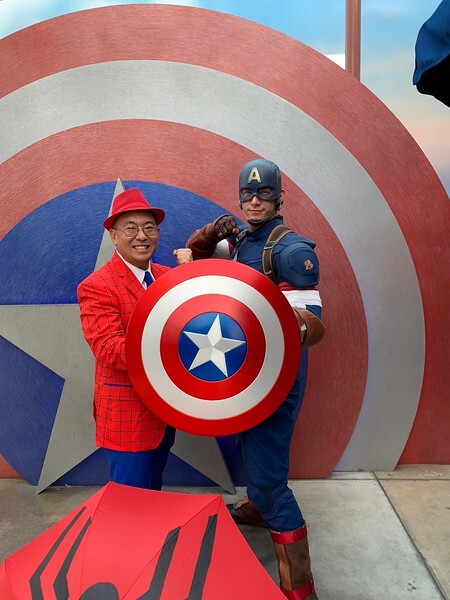 No, I didn't try to steal Cap's shield! And Cap is a really cool guy! I continued my day exploring my neighborhood and came across a lot of friendly people! 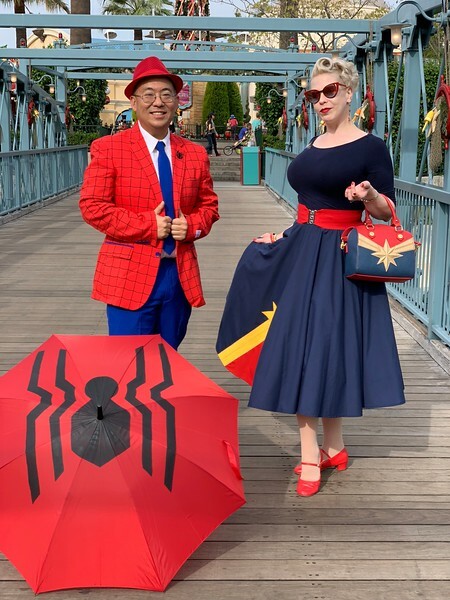 I met a Dapper Captain Marvel! 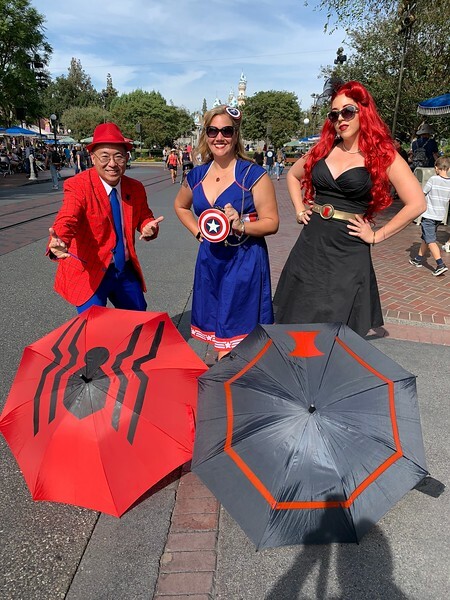 Later on I met a Dapper Cap and Dapper Black Widow! I met a Marvel-ous family! Check out from left to right, young Spidey, Black Panther, Thanos and Captain America! Always love meeting up with my lovely friends the Cosplay Parents who were Dapper Bounding as Mickey Mouse for his 90th Birthday this year! 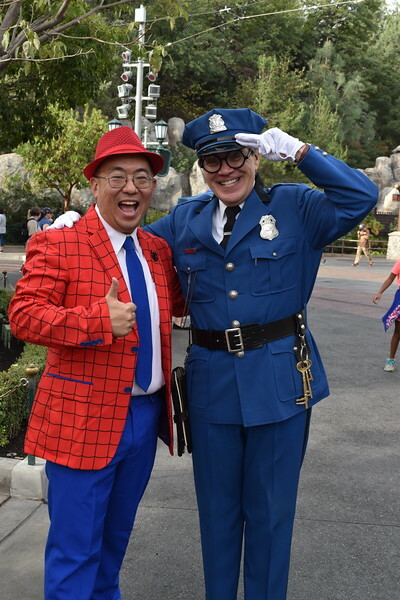 With local law enforcement like Officer Blue, it will always be a friendly neighborhood! Heading back into Queens I ran into this another Marvel-ous group! Of course we had to stop and take a photo together! 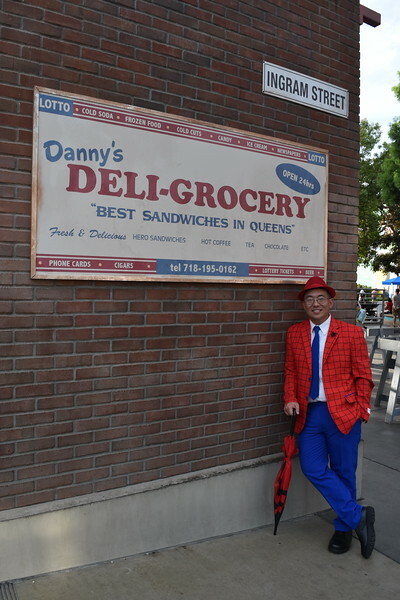 When you are Queens, make sure you stop by Danny's Deli-Grocery! They really do make the best sandwiches in Queens, maybe all of New York! Do you remember this past summer when both Iron Man and Spider-Man defended us from aliens? Then they were never heard from again! It's good to see that Spidey's neighborhood is still a friendly and quiet one! Then, I even got to meet the actual Spider-Man! 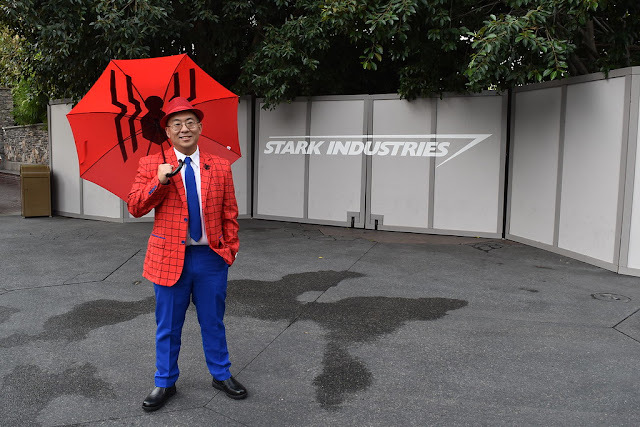 He loved my suit and wondered if Tony Stark could make him one! I can only hope to be as great as Spider-Man one day! 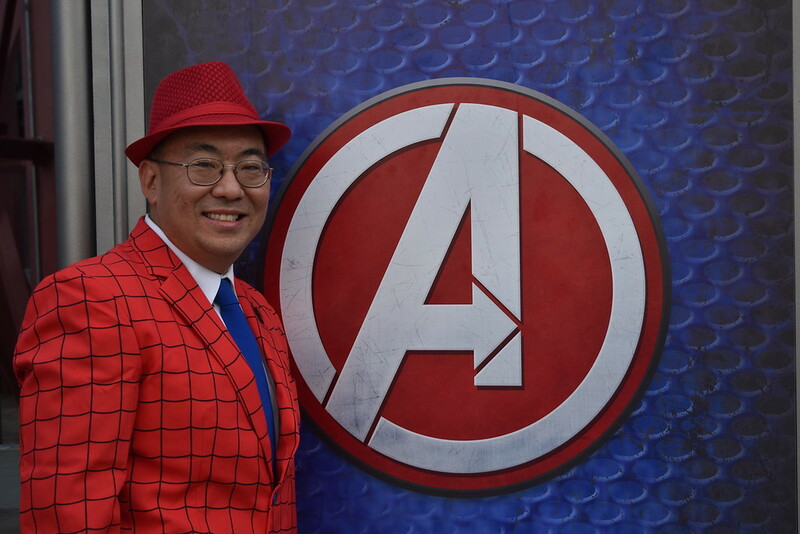 Before I ended my day, both Spidey and Tony Stark made me an official Avenger! One day I will say Dapper Avengers Assemble! 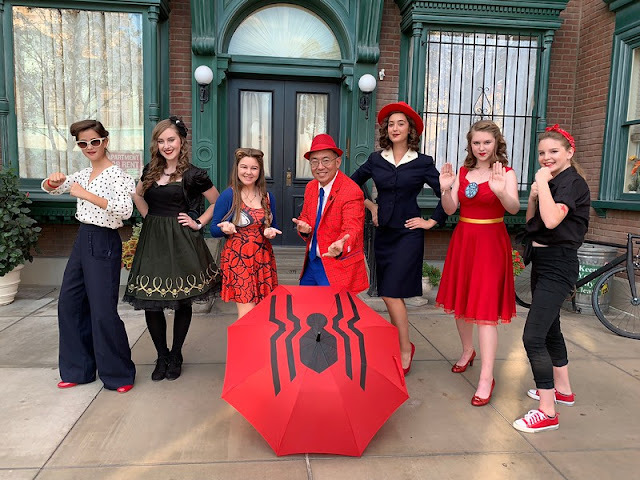 I hope you enjoyed my day at Fall Dapper Day 2018! Thank you to the team at OppoSuits for this amazing Spider-Man suit! 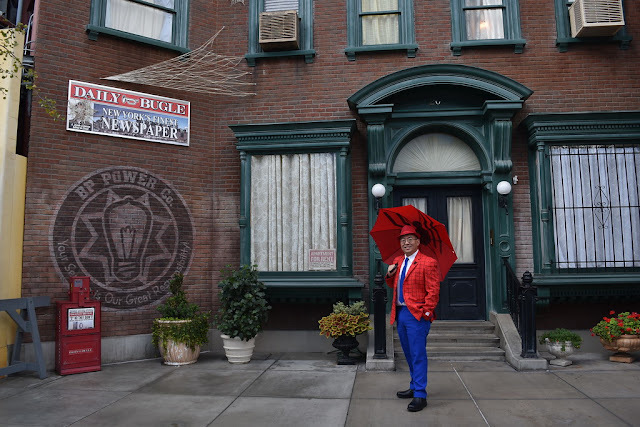 The sheer number of compliments on the suit and the number of individuals who stopped to take my photo was amazing! 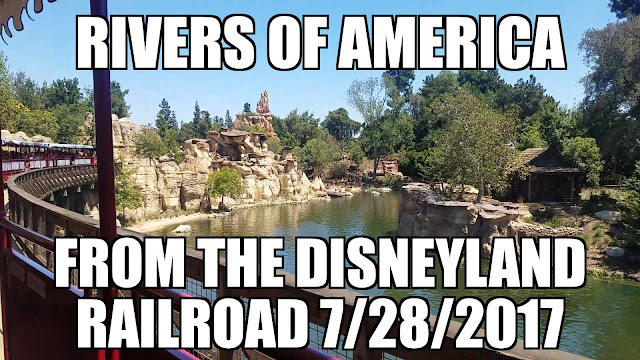 I cannot wait for the next Dapper Day in the Spring!